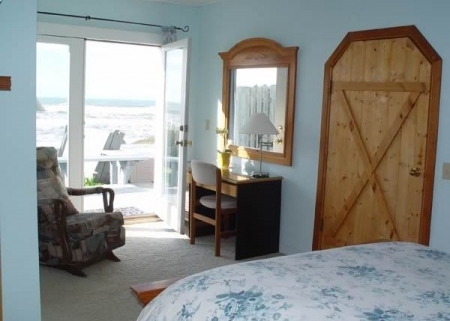 The Beach House at Spirit Cove, gives you immediate, private access to over 6 miles of pristine, uncrowded beach with a spectacular view in every direction. Lounge on the deck right in the front of a breathtaking ocean scene watching the waves break onto the sandy Nesika Beach shore. Spend your days taking long walks on the beach, looking for agates, exploring tide pools bursting with marine life, flying kites, or watching gray whales migrating along the Pacific Coast. 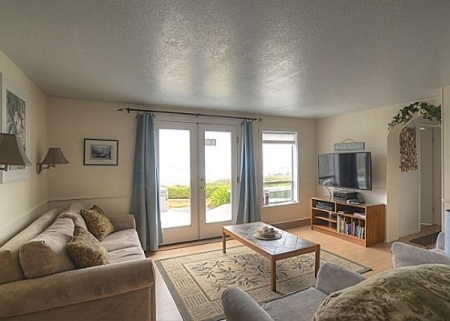 In the evening, panoramic sunsets form the backdrop to your 240-degree view of Nesika Beach, the Pacific Ocean, Port Orford and cape Blanco. 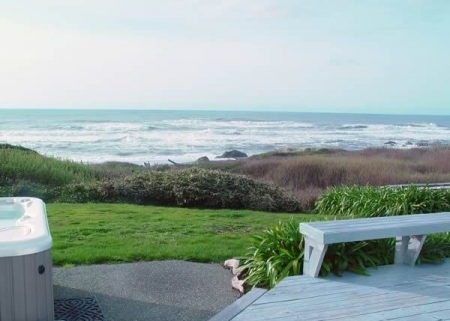 A private boardwalk connects the Beach House at Spirit Cove to the Pacific Ocean. Fill your days with walks on the beach, exploring tide pools or watching for whales as they migrate up and down the Pacific Coast. As a pink sunset gives way to deep purple twilight, relax by the fireplace or enjoy taking in pure ocean air while soaking in the state-of-the-art HotSpring spa. Then drift off to a good night’s sleep wrapped in a goose down comforter. Sound of the ocean waves will calm and restore you. 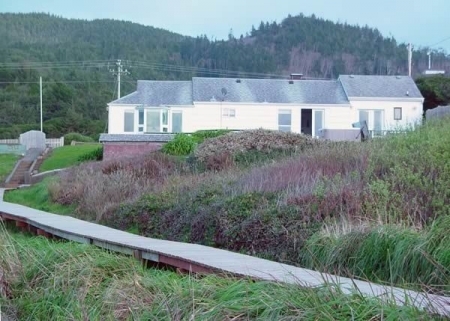 As a guest in this beautiful Oregon Coast Vacation Rental home, you are among an exclusive few who are invited to visit and enjoy Winter Springs Ranch – a 1000 acre private nature preserve featuring hiking trails, streams, picnic and barbecue area, ponds and abundant wildlife. Located just ten miles up the wild and scenic Rogue River, Winter Springs Ranch is a haven for people and animals alike.